Prefabricated modules are designed and built to precise specifications in our factory which arrive on side ready to deploy and significantly reduces installation time and cost. 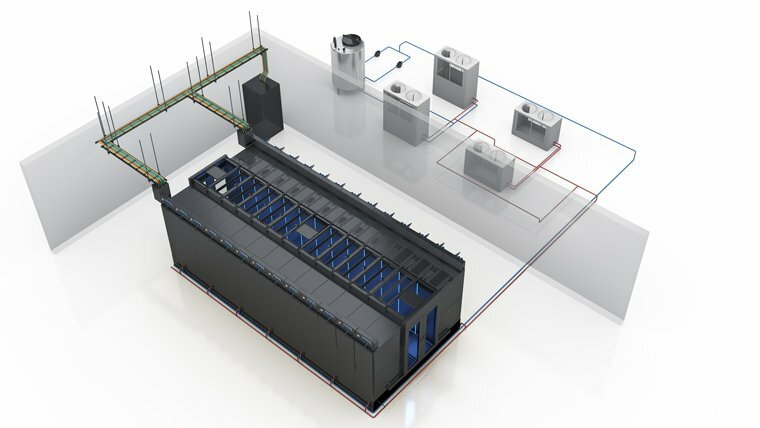 Bottom air conditions greatly save the space in DATA center and reduce the energy consumption by shortening the airflow circle , ensure the high density IT equipment operation. Prefabricated modules allow for scalable growth of IT infrastructure and flexibility to adjust the design and size of future phases of deployment. RakworX miniPOD aisle system and PDU also can integrated with other brand cooling , racks.